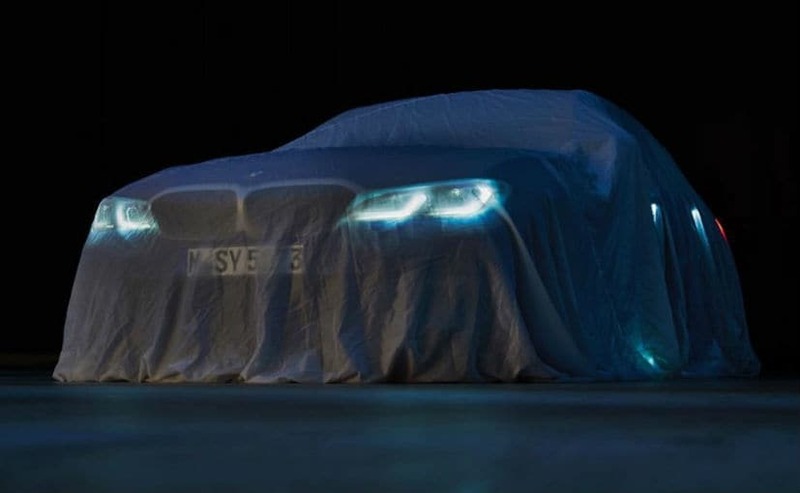 While there’s no camouflage this time, the new generation BMW 3 Series is covered by a thin sheet in the leaked teaser image. 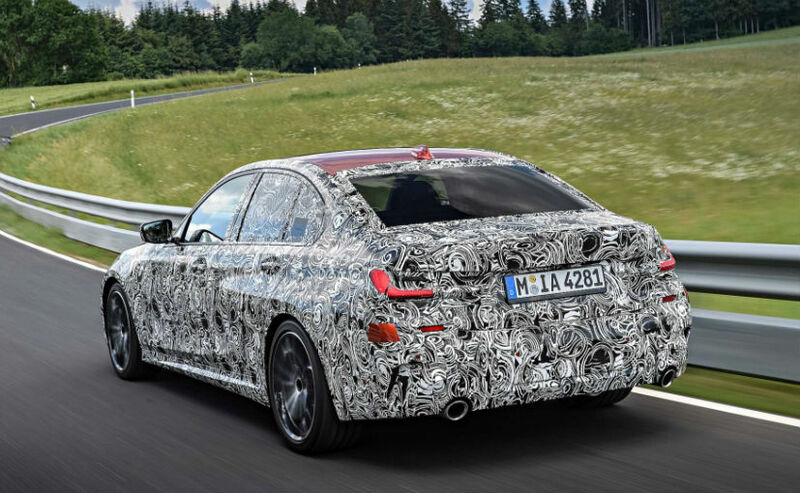 A teaser image of the new generation BMW 3 Series has made its way online providing a glimpse at the all new sedan ahead of its official public debut at the Paris Motor Show next month. While the teaser is not officially out, it does show the upcoming 3 Series in its clearest image yet, albeit covered under a sheet. The 2019 G20 3 Series is one of the most anticipated launches from BMW and the leaked image is likely that of the M performance variant. The teaser shows the all-new front-end on the car with the wide kidney grille, and the new LED lighting. The kidney grille seen on the 2019 BMW 3 Series in the teaser image is likely to be conjoined with a Cerium Grey finish on the outer edges. The bumper is likely to be different as well over the standard version on the G20 3 Series. The new grille is vastly different than the one on the outgoing version and the new headlamps feature the ‘L’ shaped LED daytime running lights that offer a unique touch to the appearance. At the rear, expect to see new bumpers and LED taillight design on the sedan. The new 3 Series seems to take inspiration from the new flagship 8 Series, which is also said to influence the cabin on the upcoming offering. The seventh generation BMW 3 Series will be based on the new CLAR platform that also underpins the new 5 and 7 Series sedans. The all-new offering likely to be wider and longer than the predecessor, while also improving in cabin space over the current iteration. BMW has already confirmed that the new 3 Series is 55 kg lighter while the centre of gravity is 1 mm lower. 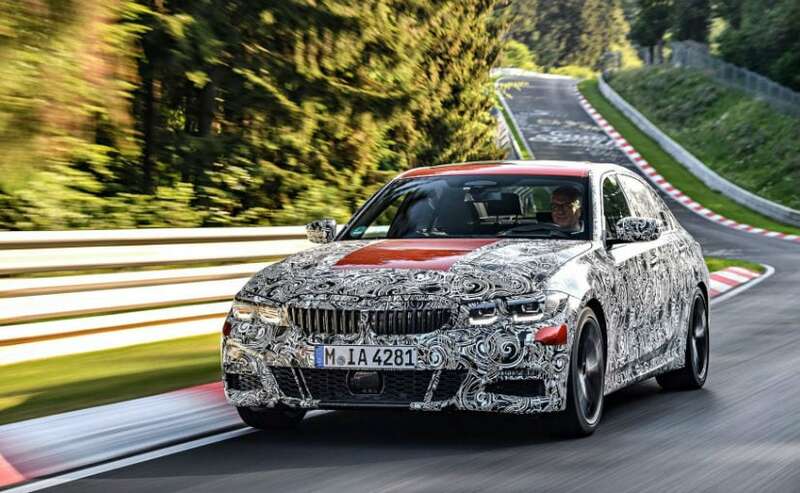 As it is with all BMWs, the new 3 will also com with 50:50 weight distribution, and the manufacturer has promised enhancements to the body and suspension for more responsive handling. The 2019 BMW 3 Series will also come with the first-ever lift-related dampers that function continuously and progressively in terms of spring travel. The M Sport version will come with a differential as standard, while the models will also come with Laserlight headlights as optional. The latter will also be introduced at the Paris Motor Show this October. The new generation BMW 3 Series will be offered with a range of engine options including the 2.0-litre four-cylinder and 3.0-litre six-cylinder petrol and diesel engines. The sedan will also get BMW’s most powerful four-cylinder engine on a production car. Reports also suggest of a 1.5-litre three-cylinder turbo petrol engine to be available in select markets. A plug-in hybrid version will also join the line-up in near future. All engines will be paired with an improved 8-speed Steptronic automatic transmission. Sales for the 2019 BMW 3 Series will begin in Europe as early as the end of this year, while you can expect the model to arrive in India sometime next year. The 3 Series has always been appreciated for its balance between luxury and performance and expectations are high from the all-new model as well.